Marketing without design, they say, is like winking at your crush in a dark hallway. Get your cool logo! Design puts light in between a business and its clients and it all starts with a logo. A logo is like a nametag or the clothes you wear. It is often responsible for first impressions and is thus paramount to any business. It needs to send the right message about the business’s values and products. Our aim is to help you navigate the existing and emerging consumer journeys. An opportunity to challenge conformity through our logo design expertise! Your logo is directly in tune with your brand’s identity and is crucial to your success. 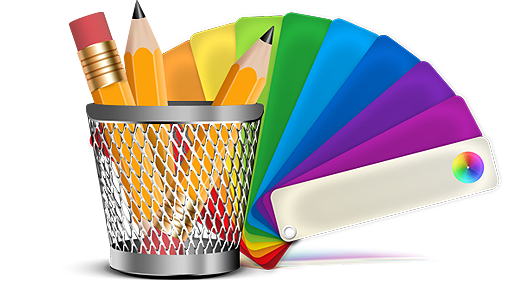 Our team of highly trained graphic designers will create a logo that is tailored to appeal to your desired target audience as well as emphasize your brand’s strengths, memorable in order to create a real impact. The Strongest logos tell the Simple stories – simplicity just happens to be the ultimate sense of sophistication! Alert! Your Details are Send Successfully. Alert! Your mail is not sent. Please fill your form again. Or contact with admin. We need to know what you are looking for to produce the perfect logo design. Be specific and ignore the questions which you are not sure about. Tagline or a slogan? Would you like to see it incorporated with the logo? Tip: Leave blank if you don't have one. How would you describe your company/business to someone who has no knowledge of your existence? E.g. We sell cleaning equipments to large scale companies. Do you have any specific colors in mind? Please choose up to 3 different options you might like explored. Your company name in a stylised type/font becomes the logo. An image or shape that is easily recognizable is used to represent your business. An abstract shape or symbol is used to convey the values of your business. Business name envelopedby a pictorial element or shape. A character or mascot to represent your business. Representing trends from the internet including gradients, rounded corner etc. A minimal design without gradients, shadows, feathered effects or 3D appearnce. What logos or websites have you seen that you like or catch your eye? Providing designers with examples helps them identify the style and aesthetic you like. Do you have any images, sketches or documents that might be helpful? E.g. Your current logo, photos, illustrations, content, layout ideas etc. What do you want your new logo to communicate about your company or products? Describe your direct competition; provide addresses to their websites if available. Are there any images or concepts you DO NOT want to see? Is there anything else you would like to communicate?